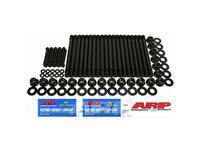 ARP for all Diesel's, ARP GM Diesel Head Studs, ARP Ford Diesel Head Studs, ARP Chrysler Diesel Head Studs It is for good reason that virtually every top professional engine builder relies on ARP head studs for their all-out competition powerplants. Simply stated, there’s not a better stud setup on the market today. 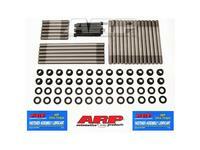 For openers, ARP for all Diesel's, ARP GM Diesel Head Studs, ARP Ford Diesel Head Studs, ARP Chrysler Diesel Head Studs Kits uses a premium grade 8740 alloy that is rated far superior to “aircraft” quality. Then, each stud is placed vertically in special racks and precisely heat-treated to 200,000 psi. This procedure ensures complete heat penetration and the results are far superior to those lesser quality studs from other manufacturers who just dump pieces in a basket and hope for the best. 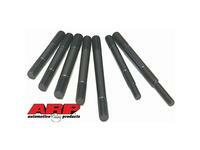 Following heat-treat, each ARP Head Stud is centerless ground to make it as close to perfectly concentric as possible. This procedure involves about ten very slight cuts and results in an exceptionally straight part. 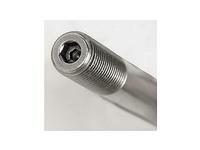 It’s important to note that lesser quality studs are not even centerless ground – the material is thread rolled in bar stock form (mostly before heat-treat, when the material is easier to machine). Because ARP for all Diesel's, ARP GM Diesel Head Studs, ARP Ford Diesel Head Studs, ARP Chrysler Diesel Head Studs Kits are manufactured to such exacting tolerances, you will note that gaskets and cylinder heads literally glide into position and are perfectly aligned – something that won’t happen with inferior quality head studs. ARP Head Stud Kits are thread rolled after heat-treat, which gives them about 1000% (that’s ten times) better fatigue strength than those studs that are threaded prior to heat-treat (a very common industry practice). It costs a lot more to do it this way, because it’s tough on tooling, but the results are well worth the extra effort. 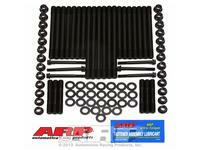 ARP for all Diesel's, ARP GM Diesel Head Studs, ARP Ford Diesel Head Studs, ARP Chrysler Diesel Head Studs Kits are available with your choice of conventional hex nuts or compact 12-point nuts. Premium quality parallel ground washers are also included with each kit. Clearly, they are the best on the market today, and the favorite of leading professional engine builders in all forms of racing. 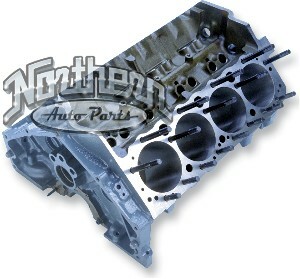 Diesel Ford 6.0L Powerstroke, 12pt nuts LOWEST PRICE EVER! 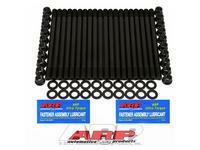 Need Head Gaskets too? We have them! Need a FICM?